In support of the striking members of UTLA, WGAW has adopted Hancock Park Elementary School as its picket line location. 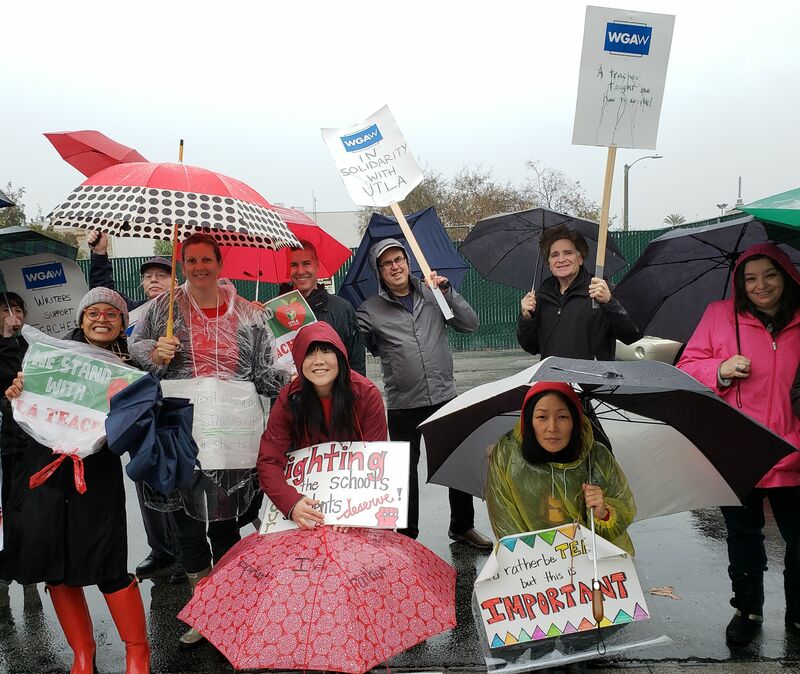 Los Angeles – In support of the striking members of UTLA, Writers Guild of America West has adopted Hancock Park Elementary School, 408 S. Fairfax Ave. in Los Angeles, as its picket line location. Guild members are encouraged to join striking teachers and support staff at the school during their 7:30-9:00 am weekday picket shift. Writers will also be supporting striking teachers at their local schools as well. "All workers deserve fair wages and good working conditions, especially our public school teachers and the staff that supports them, so we stand in solidarity with our brothers and sisters in the UTLA in this difficult struggle,” said WGAW President David A. Goodman as he walked the picket line. “But for the members of the Writers Guild, this is not only about labor solidarity; many writers, like myself, went to public school, and got our start as writers under the tutelage of dedicated teachers like the members of UTLA. We owe our teachers a debt; without them we wouldn't be here." For a press photo of WGAW President Goodman and Guild members on the UTLA picket line, click here. Photo Caption: WGAW President David A. Goodman (center, back row) and writers join UTLA teachers on the picket line at Hancock Park Elementary School in Los Angeles.